The Ho Chi Minh City Economy and Budget Commission had an informal meeting on September 7 with people in the three neighboring communes of Le Minh Xuan Industrial Zone in Binh Chanh District to discuss about pollution matters. Huynh Thi Kim Xuyen, Deputy Head of the Binh Chanh Natural Resources and Environment Office, said that the district is responsible for the small handicraft zones while the HCMC Export Processing and Industrial Zones Authority (Hepza) is in charge of all other industrial zones. Statistics shows that pollution in the areas under the management of the district is quite serious with 10 units having no waste water and exhaust fume treatment systems, 11 units having only rudimentary treatment systems, and 2 units not implementing their exhaust fume treatment systems. Another source of pollution comes from the upstream of Thay Cai – An Ha Canal, which carries waste water from factories in Hoc Mon, Cu Chi outskirt districts (i.e. 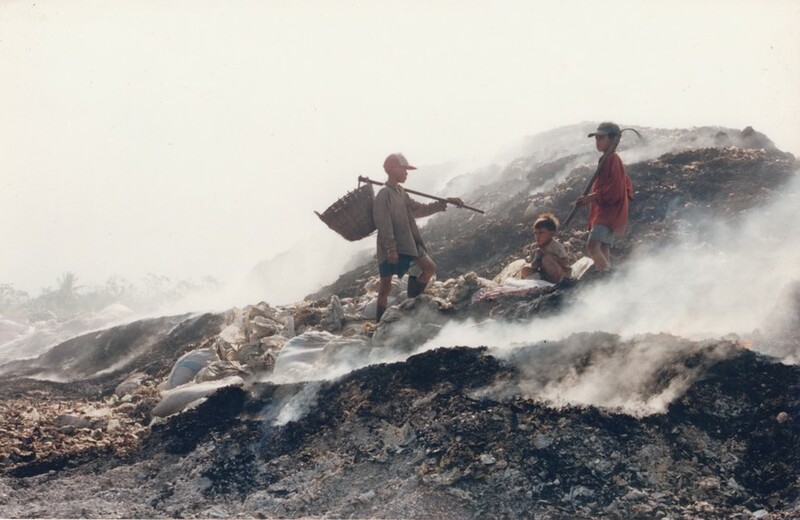 Dong Thanh Garbage Dump, the Northwest Cu Chi Industrial Zone), causing smelly, dark water in Pham Van Hai Commune. According to residents living around this Industrial Zone, many businesses deal with inspections of the authorities by slowing down their activities or even temporarily shutting down the factories so that inspectors cannot detect any fault. Others discharge waste water at the weekend or in swelling water. Vice Chairman of the Binh Chanh People’s Committee Nguyen Van Truong shared that the district now has approximately 18 slightly polluted canals and 7 severely polluted ones due to waste water from both upstream as well as Le Minh Xuan Industrial Zone. However, as related authorities of the district are not allowed into the Industrial Zone without announcement in advance, they cannot effectively inspect and catch those illegal activities in the act. 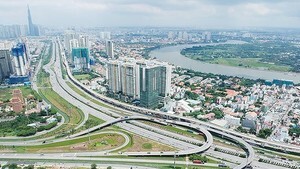 As said by Chairman of the HCMC Economy and Budget Commission Pham Van Dong, along with waste water, the area now has to endure exhaust fumes and is in urgent need of a more effective and active method to solve all the problems. The meeting ended with the delegation visiting polluted areas in the district.